With Marvel’s Agents of S.H.I.E.L.D Season 3 going on break following the mid-season 2015 finale later this fall, a certain “founder of S.H.I.E.L.D” is going to make her groundbreaking return of her own in a new season that premieres this January, as Hayley Atwell is set to reprise her role as Agent Margaret “Peggy” Carter in Agent Carter Season 2! Following the events of Captain America: The First Avenger, the Agent Carter One-Shot and the first season of Agent Carter saw Peggy steadily moving on from losing the love of her life Steve Rogers/ Captain America – balancing her time as an office worker for the Strategic Scientific Research organization and working secretly for brilliant industrialist Howard Stark to find those responsible for framing him for supposedly selling weapons of destruction to enemy forces. 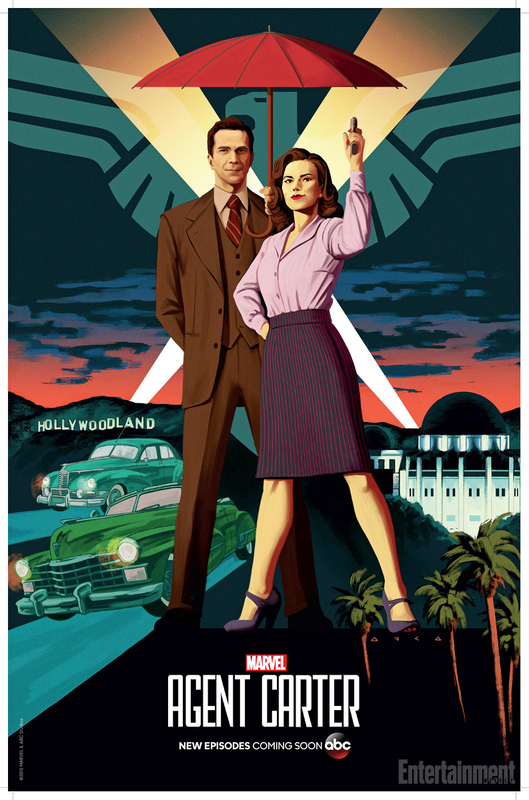 In the upcoming new season, Peggy has moved to Los Angeles to continue her adventures in stopping new threats in the wake of World War II, caught in the glamour of Hollywood while making new allies and a new love interest as well. Assisting her still of course is Stark’s butler Edwin Jarvis, who will once again be played by James D’Arcy. To promote the comeback of Agent Peggy, ABC has released a short TV Spot trailer previewing the action to come in Hollywood in the 1950’s. 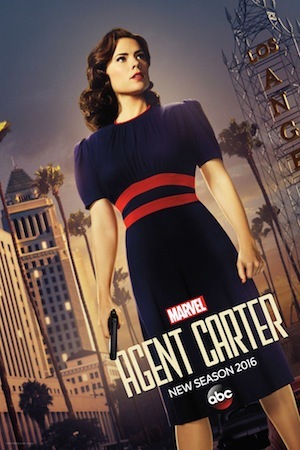 Agent Carter Season 2 is set to premiere on January 5, 2016. Previous article(WATCH) Feel the Force with our Kill Montage Video from Star Wars Battlefront! Next articleZoolander 2 trailer is out now and it’s really, really ridiculously good (looking)!